For every woman, taking care of your skin is vital. You need to ensure that your skin is free from any dirt, dead skin and bacteria that can clog your pores. this goes a long way to ensure that there are no pimples, blemishes, acne or even black and white spots that can invade your skin. Once you do that, you need to make sure your skin is flawless and beautiful. Am sure you like it when you walk in a room and all eyes are on you. You will do that by getting your makeup right. From the foundation, cleanser to your compact powder. How do you achieve that? You probably have it, yes that gift that you found from one of your bridesmaids or it is a birthday gift that you received from your best friend and you haven’t had time to look at it. am talking about a Clarisonic cleansing machine. It is one of the many expensive cosmetic gadgets that we have around, so what is it? What is a Clarisonic cleansing machine? This is a machine that you use on your skin. It is an effective electric powered facial cleansing brush with a battery life of about 20 minutes. The machine works with your skin natural elasticity to gently rock dirt and oil out of the pores, sounds interesting, right? The Clarisonic cleansing machine comes in different models and brushes heads designed to cater for your skin needs. In order for the machine to work on you, you need to look for a model and brush that will cater to your skin needs. The reason to why people don’t use this quite frequently is because the machine is misunderstood and can be confusing if it is your first time you are using it. First, it is important for you to note that the machine if not for exfoliation, you need to look for ways to do that. Every morning, we all want to pop and shine for the day. The best way to do that is to make sure you dress well and put on your makeup in a perfect way. This is by the use of a Clare sonic cleansing machine. From the cleanser, a foundation to polishing up, the machine makes sure the makeup is applied evenly all over your face and is laid in a nice way. 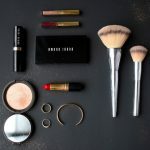 There are so many experiments done and it is proven that makeup put using the machine is flawless and smooth considering to make up put using your hand. This is another area that most people go wrong, are you a victim of sleeping with your makeup on? Maybe it is because you don’t have a quick and effective way of doing it, well with the machine, you will be able to remove the makeup within no time. When it comes to removing your makeup, all you need to remember is that you don’t use the machine around your eyes. To effectively remove makeup from your face, you need to choose a suitable brush for you then apply some cleanser and rub the machine on your face gently. For the brush to be effective on your face, you need to know how to operate it. Is it your first time to use it? you need to make sure that you use the machine well for you to get the results that you desire. Follow this procedure if you want to get your skin flawless and beautiful always. If it is your first time to use the machine, make sure you put is on a source of power and charge for 24 hours. The battery life of the machine is 20 minutes. It sounds less, right? no, that is a lot of time considering per section is about one minute. You will probably charge it again after 20 days if you are using the machine once a day. Now, if you are removing your makeup, first remove eye makeup using your hands. Dump your face with moisturizer using your hands or a damp brush. Take that machine and using the on and off button, turn on your cleansing brush and select the desired speed. The procedure of putting on your makeup is the same, you need to apply your concealer, foundation or powder on the brush and gently brush the machine against your face. You should ensure that you choose the brush head that gives you the best results and don’t press the machine hard on your face. There are up to nine brush heads to choose from. It is, therefore, necessary for you to know how to know how to replace the brush head. It is through experimenting and using all the brushes that you will know the brush that gives you the best result. To remove the brush head, grip the brush head firmly then push and twist its counterclockwise. While doing this, you should be gentle to ensure you don’t spoil the handle or the brush in the process. Once you have the brush out, it’s time to replace. To replace the brush with another one, push down the head and twist once clockwise until it snaps into place. You need to master how to place and replace a brush since the Clarisonic cleansing machine has so much interchangeable brush head designed for specific skin type and condition. The only part that needs washing is the handle. You need to remove the brush head and wash the handle using warm soapy water to remove any dirt and build up. Don’t clean with abrasive cleaners or chemicals to clean any part of the brush. You should never attempt to put any part in a dishwasher. When it comes to the machine. The only part that wears out is the brush head. Due to the fact that you are using it more than once in a day, it is bound to wear out and the bristles become ineffective after a while. It is, therefore, necessary for you to replace the brush head every 3 months. You need to be keen on this. That is because many people complain it is not working on them and this is the first thing that they go wrong. With bristles that are not effective, you will not be able to remove makeup or put it on effectively. Of course, you can’t get a flawless skin by using the machine once in a while. If you are using the machine right, you can be able to use the machine even 2-3 times in a day. Yes, it can irritate your skin on your first encounter but with continuous use, you will be able to see the result you want. Like mentioned earlier, there are so many types of brushes to choose from. With that in mind, it can be confusing when it comes to choosing the right brush. You need to experiment and use all the brushes until you find a perfect one that gives you the results that you want. You are excited to get the machine on your skin such that you forget to read the instructions. This will lead to mistakes such as not charging the machine for 24 hours. This will lead to the machine slagging and hence you will not the result you want. You may be pressing the machine against your skin too much leading to skin irritation. You may have bought it yourself, gifted by a friend or you have plans of buying one, this is the most effective machine you can get for your skin. For your skin to be flawless, acne free and shining always, you need to have a machine to help you with that. Get to know what you need to know about the machine and make your skin glow using it.